If we have great dreams we must to be willing to do something for them. Define your dream and put your effort towards realizing it. It takes work and dedication but if you are passionate you will attract things that someone with lots of money and no passion never could. If we are brave enough to follow our passion and shift our life towards realizing our dreams they will happen. It takes believing in yourself and being responsible to yourself. We are responsible to our dreams. Someone will think of their company as like their baby and take care of it as such. Can you nurture your art and make it grow, anticipate its needs, plan for its future, protect it and show it the right attention and care? Like investing your heart and soul into making your child grow up you put the same passion into realizing whatever vision you have. Following your passion will take work and in many ways a regular mindless job is much more comforting. If you want to be in charge you have to be the boss and the employee. That is a lot more responsibility and it takes managing yourself in a practical way.If you are do it and stick to it you will be able to live comfortably doing what you love. Say 'I am an artist' proudly! Things you can do to bring your dream into reality. Write 5 things you want to make happen. Do a dreamboard, put up pictures that remind you of what you to create. Write inspiring affirmations on post-its down and put them up places you will see them. Set up your workspace to you have things ready when inspiration strikes. Dedicate structured time to working to working on your artwork. Connect with like-minded creative people around you. Yeah, that's a bold statement. But deep down inside you know that it is only you standing in the way of your potential. 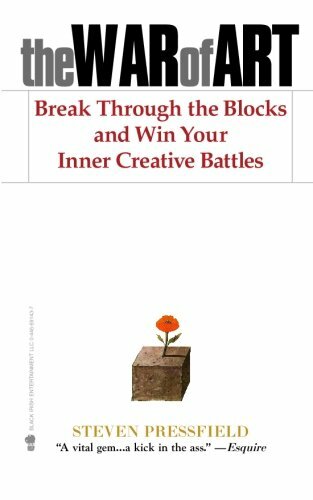 This book will take you from the mentality of the weekend warrior - amateur artist, to what it is to be a professional artist. We have the distant goal of wanting to be a professional artist but we might not think about what that really means to us. What life changes do we need to make to live a sustainable life as an artist? What do we actually want and how much work will it take to achieve that? What most of us want is really just a comfortable place to live and having food in the fridge. What will that cost and many paintings do you have to sell, at what price to maintain that? These are practical questions that many artists don't ask themselves. Artists want to make art but besides making artwork there is figuring how you making artwork is going to sustain your lifestyle in the real world. That is an art in itself and we call it artrepreneurship. Entrepreneurs are sometimes people who dedicate their heart and soul to realizing a vision for products and services that changes people's lives. In many ways it is similar to being an artist, having a vision and putting effort towards creating it and getting it in front of people. Leading themselves and others by example. Networking and making connections to people. Incorporating these disciplines into the work of being an artist is blending what it means to be an artist with what it means to be an entrepreneur. That's why we call it artrepreneurship to describe the practice of being entrepreneurial with your artwork. Be more established in communities. Have consistent outlets to express yourself. Feel better about yourself as an artist.